HUNDREDS of patriots attended the free speech rally outside the Defend the Prophet conference in Dallas, Texas today. Muslim leaders held a conference against Islamophobic Americans today in Dallas. Several hundred counter-protesters met outside the conference. 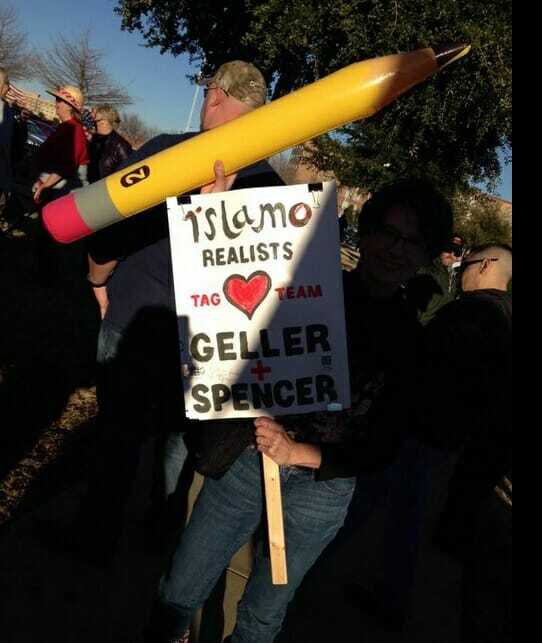 Islam expert Robert Spencer took part in the rally today. Pamela Geller helped organize the event. Her website is still down after a DDoS attack this week.